Following a stellar 2012, the Korean film industry closed out another record year on New Year’s Eve in 2013 as admissions soared over 200 million viewers for the first time. The final total came in at 213.31 million spectators, a 9.45% increase over the previous year, but it wasn’t the only record set over the 12 month stretch. With 127.27 million admissions, local releases also eclipsed 2012’s previous peak of 114.61 million. The 11.1% year-on-year rise was slightly higher than the total admissions increase, demonstrating that not only is the market growing as a whole, but that domestic productions are gaining even more ground. Korean films have scored a majority for all but two of the last ten years and 2013 was no different as local releases were responsible for 59.7% of all tickets sold. That was a small gain on 2012’s 58.8% and second only to 2006’s record 64.4%. Then again, that year’s admissions total was also 32% lower than 2013’s sum, with 144.26 million tickets sold. While 2012 produced two blockbusters that broke the ten million viewers milestone, when no other year has gone over one, last year’s top film Miracle in Cell No. 7 was the only production to cross the mark. However, the local industry had a number of aces up its sleeve as hit after hit flooded the market every month. By year’s end, a remarkable nine Korean films finished in the top ten, with Marvel’s Iron Man 3 being the only foreign production to crack the list. Concerning casting trends, ensembles were still all the rage as the starry lineups of The Berlin File (HA Jung-woo, HAN Suk-kyu, JUN Ji-hyun and RYOO Seung-bum), The Face Reader (SONG Kang-ho, LEE Jung-jae, KIM Hye-soo, LEE Jong-suk and BAEK Yoon-shik), New World (LEE Jung-jae, CHOI Min-shik and HWANG Jung-min), Secretly Greatly (KIM Soo-hyun, LEE Hyun-woo and PARK Ki-woong) and Cold Eyes (SEOL Kyung-gu, HAN Hyo-joo and JUNG Woo-sung) managed to draw in large crowds. Of late, the star system in Korea had come under scrutiny as few big names have been able to drive box office receipts by themselves, but 2013 proved that some stars still had the necessary clout to draw in spectators. Chief among them was SONG Kang-ho who had the best year in his career or that of any Korean actor as a total of 24.16 Million viewers bought tickets to his three films (Snowpiercer, The Face Reader and The Attorney) in 2013. Not far behind was HA Jung-woo, who started the year off strong with The Berlin File and later steered The Terror, LIVE, for which he spends most of the film’s running time on screen by himself, to a stellar 5.58 million viewers. Though there was a large variety of films in the marketplace, stretching across all manner of genres, a few types of films were more prominent than usual. Chief among them were North Korean spy thrillers, which included The Berlin File, Secretly Greatly, Commitment and The Suspect. With the exception of Commitment, all achieved strong returns despite very similar narratives featuring North Korean agents portrayed in a sympathetic light as they are forced to go up against their own government. Owing to the general widening of the market were changing currents in the generational split of viewers. Whereas viewers in their 20s and 30s have traditionally dominated ticket sales, spectators in their 40s and 50s saw large gains last year. This was partly due to economic reasons as cinema is still a relatively cheap form of entertainment, but also due to nostalgia trends in cinema as many films set in previous decades have enticed older viewers to theaters. While one film crossed the vaunted 10 million admissions mark (Miracle in Cell No. 7) and another two went over nine million viewers (Snowpiercer and The Face Reader), the industry’s record year was the result of a broad array of hits. Miracle in Cell No. 7 surprised early in the year by steadily making its way to 12.81 million admissions and scaling up to number three on the all time chart for local releases in the process. BONG Joon-ho’s highly anticipated Snowpiercer lived up to its hype as it drew in over 9.34 million spectators. Following close behind was HAN Jae-rim’s Chuseok release The Face Reader with 9.13 million viewers. Iron Man 3, from Marvel Studios, built on the success of last year’s The Avengers (7.07 million admissions in Korea) as it managed to go just over the nine million mark. A little further down the chart was a pair of North Korean spy films as The Berlin File and Secretly Greatly came in at numbers five and six with 7.17 and 6.96 million admissions, respectively. The late year hit The Attorney made its way into the top 10 on the very last day of 2013 with 5.69 million viewers. The film is still going strong in early 2014, having accrued 8.34 million viewers as of January 9th. The last three spots were held by thrillers Hide and Seek, a gloomy genre film with no big stars that nevertheless worked its way up to an impressive 5.6 million spectators, The Terror, LIVE with 5.58 million admissions, and finally Cold Eyes, the remake of the 2007 Hong Kong film Eye in the Sky, with 5.51 million viewers. The top 10 may have been a predominantly Korean affair but the rest of the top 20 demonstrated a more even split between local and foreign releases as four more Hollywood movies (World War Z, Gravity, Thor: Dark World and Red 2) made the bottom ten. The remaining Korean releases on the chart included the crime film New World, gangster comedy Man on the Edge, espionage comedy Spy: Undercover Operation, inferno pic The Tower (2012), epidemic thriller The Flu and gang sequel Friend: The Great Legacy. Korean films wasted no time in exerting their dominance in January 2013. Spurred on by the successes of Man on the Edge, The Tower and Miracle in Cell No. 7, the local industry secured 11.99 million of the total 20.37 million tickets sold. The trend towards domestic films became even more pronounced in February as Miracle in Cell No. 7 and The Berlin File dominated throughout the month. Korean films accounted for 82.9% of the month’s 21.34 million admissions. Business slowed somewhat in March but remained in the local industry’s favor as New World, Miracle in Cell No. 7 and some mid-level releases gave Korea an 8.39 million haul, 63.2% of the month’s total. Heading into spring, Hollywood countered with stronger fare such as Oblivion and Iron Man 3, which gave the US a 55.2% market edge out of April’s 11.26 million ticket sales. Iron Man 3’s success in May, along with The Great Gatsby and Fast & Furious 6 gave Hollywood two thirds of the month’s 14.21 million admissions. Things evened out in June as Secretly Greatly topped the month to give Korea a 47.1% market share while World War Z, Man of Steel and Star Trek: Into Darkness kept the US on top with 51.6% of 17.55 million admissions. Going into July, the situation remained the same as a local release (Cold Eyes) topped the chart while a few Hollywood productions (Pacific Rim, Red 2 and World War Z) gave the US a slight edge with 52.6%. Admissions for the month came in at 18.82 million. The local industry came roaring back in August as thrillers Snowpiercer, The Terror, LIVE, Hide and Seek and The Flu gave Korea an overwhelming edge with 75.4% of the market. Korean films brought in 21.95 million, a single month record, while the total figure of 29.13 million viewers was also a new benchmark. The Face Reader was the chart topper in September as Korean films took 66.5% of the 19.23 million tickets sold. Business dipped a little in October but the profit distribution remained the same as Hope and Hwayi: A Monster Boy gave Korea a 68.9% advantage while Gravity was the sole foreign release to make an impact. Things leveled off in November when Thor: Dark World came first for the month but US films still only accounted for 42.9% of 13.38 million admissions. In December, total business went back over the 20 million mark and Korean films, including The Attorney and The Suspect, stayed on top with 58.6% of admissions. 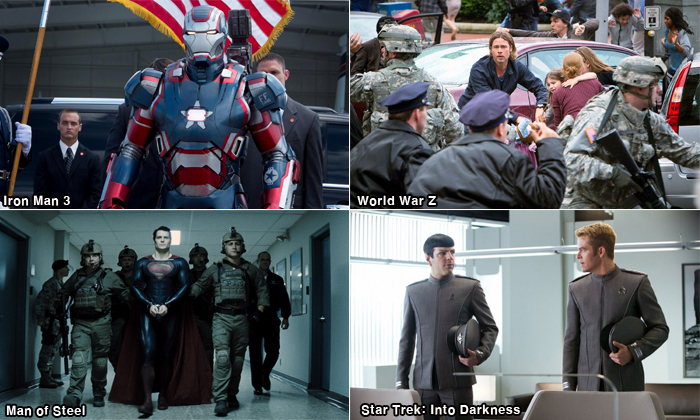 The big story among the majors in 2013 was the continued rise of Next Entertainment World (NEW). The studio, which is not linked to an exhibition chain, unlike majors CJ E&M and Lotte Entertainment, managed to top the distributors chart for local releases after securing a 29.4% market share, while scoring second on the overall list with 18.4%. Driven by its mid-budget genre fare, the production house succeeded in scoring hit after hit, with Miracle in Cell No. 7, New World, Cold Eyes, Hide and Seek and The Attorney, which all featured in the year’s top ten, on their 2013 roster. CJ E&M remained first on the overall chart with 21.4% of the sales but fell to second on the domestic list with 28%. Lotte Entertainment remained third place overall with 14.9% with Showbox just behind at 13.7%. They swapped places on the Korean films chart with Showbox taking a 22.9% share and Lotte Entertainment lagging behind with 13.3%. Looking at foreign distributors operating in Korea, Sony/Disney dropped one spot to number five with 9.5% while Warner Bros was sixth with 7%. On a less positive note, exhibition chains found themselves discussed at length in the media towards the end of the year following distribution fee disputes. An even profit split between distributor and exhibitor is enforced across Korea but in the Seoul Metropolitan Area the ratio is 60 to 40 in favor of the distributor. When CGV adjusted the ratio down to an even split, Sony/Disney balked and withdrew titles Monsters University and Thor: Dark World from Seoul City theaters, at least initially. In December, Warner Bros. followed suit with The Hobbit: The Desolation of Smaug, which, in addition to CGV, was not screened in most Lotte Cinema locations across the city. With 2013’s stellar finish only just in the rearview mirror, the local industry is hoping to sustain its momentum into the Lunar New Year (Seollal) holiday season as a quartet of Korean films will be looking to draw in viewers over the festive period. The majors each have a horse in the game, with CJ presenting cross-generational high concept comedy Miss Granny, NEW entering the fray with the romance drama Man in Love, Lotte chiming in with youth-oriented nostalgia pic Hot Young Bloods and Showbox hoping to score pay dirt with period action-comedy The Huntresses. The year has already gotten off to the best possible start as holdovers The Attorney and The Suspect are still drawing in large crowds. As of this writing (January 9th), the former seems poised to eclipse the ten million milestone in the coming weeks. Later in 2014, all eyes will be drawn to a series of high budget period films that will be looking to follow the successes of Masquerade (2012) and last year’s The Face Reader. These films include the previously mentioned The Huntresses, CJ’s naval war film Roaring Currents from KIM Han-min, starring CHOI Min-sikh and RYOO Seung-ryong, and a trio of high profile releases from Lotte, including the LEE Byung-hun and JEON Do-yeon headlined Memories of the Sword, action-adventure The Pirates (working title), and royal court drama The King’s Wrath (working title) with HYUN Bin.